Our fitness brackets are made of high grade aluminum and are powder coated with a scratch resistant finish to endure any studio demand. Brackets and the aluminum fitness barres are available in white, black or gray. The En Pointe Wall Mount Aluminum Fitness Barre is the ultimate fitness barre for studio or home. Fitness barres for wall mounting are available in wood barres with aluminum brackets or all aluminum barres and brackets. 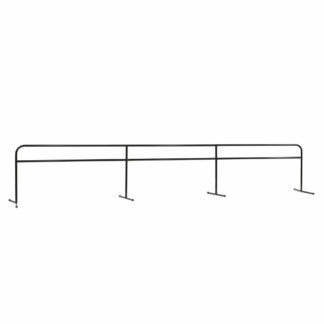 Our 1’ ½” professional fitness barre is available in 4’ to 26’ lengths (2’ intervals). 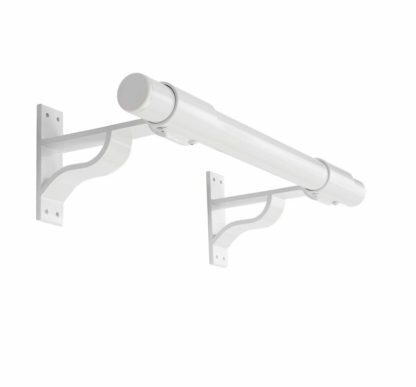 For a custom length, the wall mount barre has been designed to produce a continuous length depending on your fitness needs. 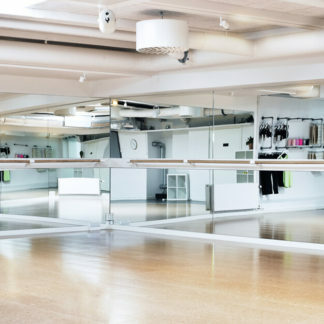 All brackets and aluminum fitness barres are made of high-grade aluminum and has a hard powder-coat finish for a scratch resistant surface and will endure the demands of any fitness studio. Brackets and the aluminum fitness barres are available in white, black or gray. The En Pointe Wall Mount Fitness Barre is attached to the brackets by underpin screws (supplied). The bracket for the finished fitness barre is ¾” wide, 8” deep, projects 8” from back to front and has pre-drilled holes for mounting on studs or a backing board. Brackets fully encloses bar providing extra support required for barre fitness. 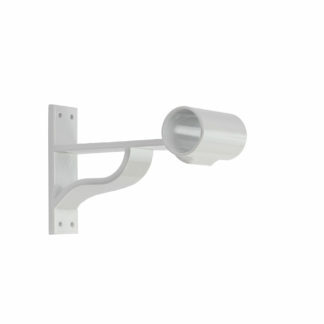 Wall-mount brackets can be sold separately. Barres can be mounted on top to form double barres. Custom hand-crafted maple and oak barres are available for an additional charge. All brackets and aluminum fitness barres are made of high-grade aluminum and are powder coated for a durable finish. Brackets and the aluminum fitness barres are available in white, black or gray.